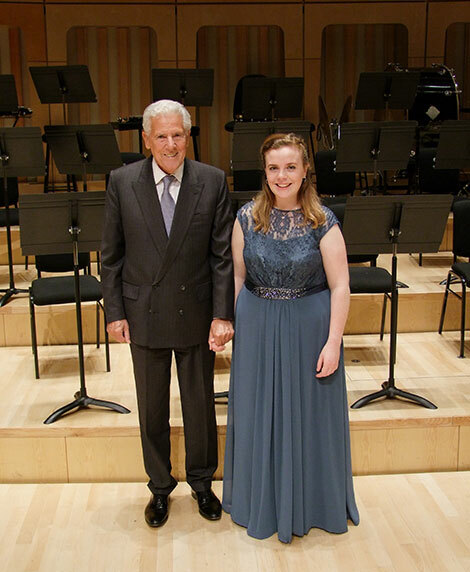 Many congratulations to the winner of this year’s Ian Stoutzker Prize, clarinetist Laura Deignan. It’s the first time a woodwind player has won this prestigious award which celebrates the College’s outstanding musicians. 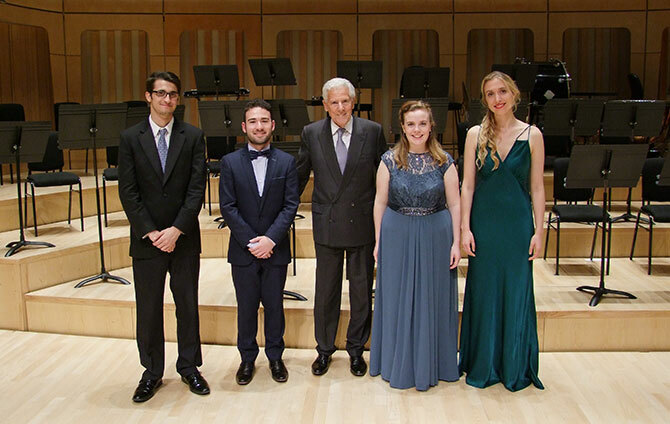 Fellow finalists pianist Nuno Lucas, violinist Charlotte McClure and euphonium player Grant Jameson joined Laura to compete for the £10,000 prize, accompanied by the College’s Chamber Orchestra. The final took place in the College’s Dora Stoutzker Hall, in front of a panel of judges which included David Purser, Miranda Dale and Cordelia Williams. Previous winners of the Stoutzker Prize include Michael Lowe, Trystan Llyr Griffiths, Tianhong Yang and Emyr Wyn Jones.